Prepare for your Electrician exam in the comfort of your own home or office. The Classes4contractors.com practice question packages include 800 unique practice questions. 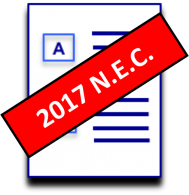 Our 2017 NEC practice exam packages are designed to give you the confidence you need to pass your exam the first time! Yes! When you purchase the 2017 NEC Practice Exam 3-Day Trial Package you get access to all 32 exams we offer. Each of our 2017 NEC Practice Exam Packages have 32 different exams with 25 different questions in each exam.